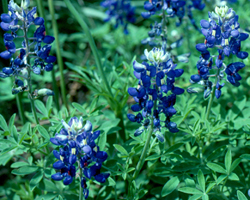 Native American Seed has partnered with the Lady Bird Johnson Wildflower Center and the Austin American-Statesman to offer you this premium seed mix. 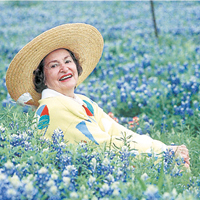 Components of the mix are among Lady Bird’s favorites, and are well-suited to Central Texas. Comprised of annuals and perennials you will see blooms from spring – early summer. Lyndon Baines Johnson championed scores of environmental bills during his presidency. With his wife, Lady Bird, at his side, the two worked tirelessly to clean up America's highways, promote conservation and preserve the country's natural landscapes. We, at Native American Seed, are deeply honored to do our part to sustain this ethical land stewardship legacy. A percentage of sales of this mix will be donated to the Wildflower Center Seed Grant program to buy seeds for Texas schools. PHOTO (bottom left) is of Fulton Learning Center 5th grade students. The school was awarded a Seed Grant to create a "Prairie" educational garden on campus. Children will help maintain the area by removing invasive weeds as they observe how wildlife use the native plants for shelter and food. One long term goal is to plant a variety of mini-ecosystems for students to learn about. 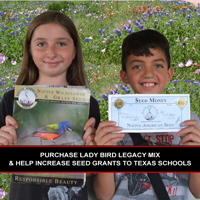 A Special Thanks to Native American Seed customers who have bought this mix and supported Seed Grants to Texas Schools!